Plotting and Scheming: Dav Pilkey! I met him! I met him! I met him! 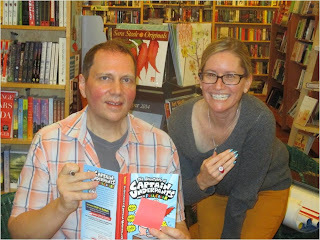 Note the Captain Underpants Hyno-Ring. :) So much fun! So much fun, indeed! LOVE the ring! Cool ring. What a great experience. I love his books. That is SO awesome! I've got students who gobble up his books!! So is he as cool as his books?